Deflector shields up! Arm photon torpedoes! Secret Saucer is about to attack! Coming together from different parts of the galaxy, members from the premiere US Space Rock bands were locked up in a recording studio for a weekend and told to jam. Grabbing whatever instruments struck their fancy, these guys spent over a dozen hours recording. Listening to this disc, you would never guess that these were improvisations. The dozen songs sound composed and are a testament to the quality and expertise of the individual band members. Hailing from Star Nation, Quarkspace, Architectural Metaphor, Church of Hed, National Steam, and Sun Machine or having toured with Hawkwind, Nik Turner, Pressurehed, and Farflung, Secret Saucer takes Space Rock/Krautrock into the 21st Century. There are a lot bands today that are vying to carry the torch of Hawkwind and the Ozric Tentacles. Secret Saucer is a definite contender. 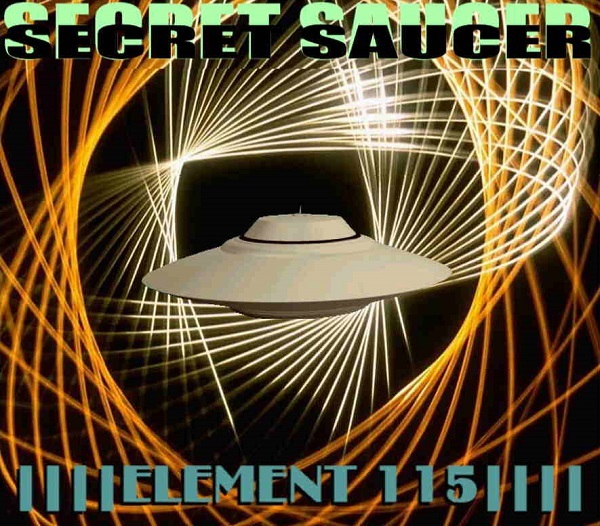 If you enjoy these bands as well as early Pink Floyd, Ash Ra, Amon Duul II, and Porcupine Tree, Element 115 needs to be on your wish list. This is one highly recommended release.